“Clever Mojo Games has signed licensing agreements to bring localized editions of Alien Frontiers to Eastern and Western Europe. Ystari Games will be producing French, German, Spanish, and Italian language versions of Alien Frontiers for distribution in Western Europe and LocWorks will be producing and distributing Polish and Eastern European language versions of Alien Frontiers. Both LocWorks and Ystari expect late 2011 release dates. The first printing of Alien Frontiers was released on October 11, 2010 and sold out the 1100 unit print run less than one day later. The second printing of 3200 games sold out three days after its April 22, 2011 release. A third printing of 5500 games is in production with an expected release date of August 31, 2011. Alien Frontiers is available to gamers and local retailers through Game Salute, the official USA Featured Fulfillment provider for Clever Mojo Games. 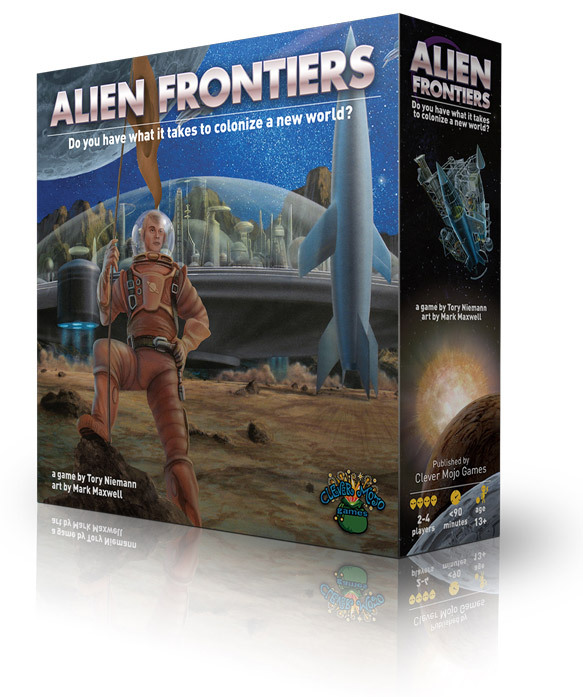 Spiral Galaxy Games distributes the Alien Frontiers English editions in the UK, Sweden, Norway, and Finland. 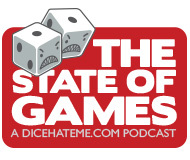 Alien Frontiers received the Dice Hate Me Game of the Year Award for 2010. Check out the Dice Hate Me review, and be sure to check back with Dice Hate Me soon for more news on future Clever Mojo Games releases. Alien Frontiers: The First Transport is Away! Wow, first print run sell-out in less than 24 hours? How often does that happen? More to the point, what kind of buzz had to happen to get that kind of market response? I’m in for a copy. I want more on Swinging Jivecat Lounge NOW!